Driving through the Ozarks, Norman and Leslie Stearns take a wrong turning. Looking for gas, they come to the farm of Grevy. Grevy offers to show them his collection of animals but instead takes them down into a series of caverns and locks them up behind bars. There they learn he is planning to sacrifice them to the prehistoric masosaurus that he keeps in the caves. The films of Larry Buchanan are usually considered right down there with those of Edward D. Wood Jr in terms of quality. 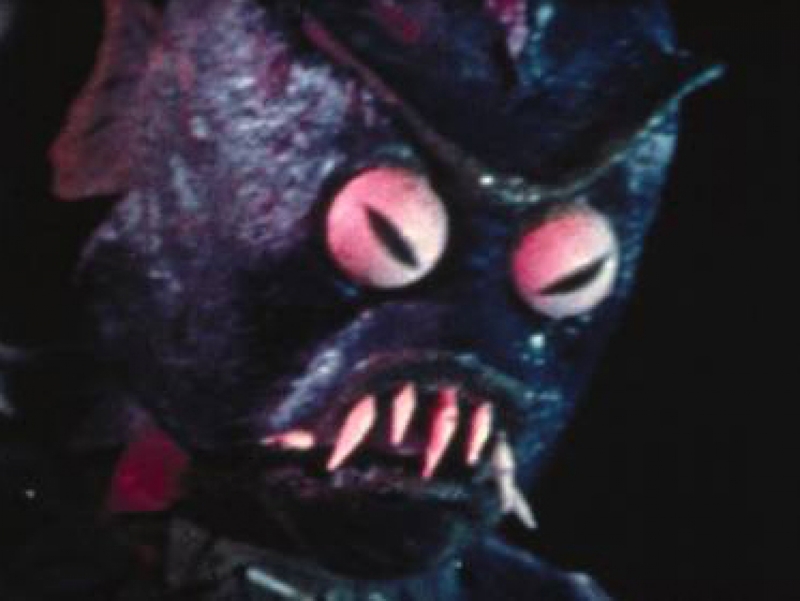 Buchanan had made Z-grade films such as The Naked Witch (1964), The Eye Creatures (1965), Curse of the Swamp Creature (1966), In the Year 2889 (1966), Mars Needs Women (1966), Zontar: The Thing from Venus (1966), Creature of Destruction (1967), The Loch Ness Horror (1981) and Mistress of the Apes (1981). The most fascinating sequence is the long, narrated flashback where Annabelle Macadams tells how she became Corveth Ousterhouse’s prisoner. Here Bucahanan achieves a genuinely Sadian weirdness in the scenes of the sweaty Ousterhouse serving her up dead mice and blowing whistles as she sleeps. The sequence ends on a slow-motion chase through the forest before she is recaptured and the haunting final voiceover: “With each lash of his belt, I felt my will to live slipping away and myself becoming one of Grevy’s animals.” The peculiar atmosphere the film achieves at these times makes this the best amid Larry Buchanan’s otherwise eminently forgettable output. It’s Alive! should not be confused with Larry Cohen’s better known killer mutant baby film It’s Alive (1974) and sequels.